Social Media is a great place for bloggers and brands to be seen and heard. 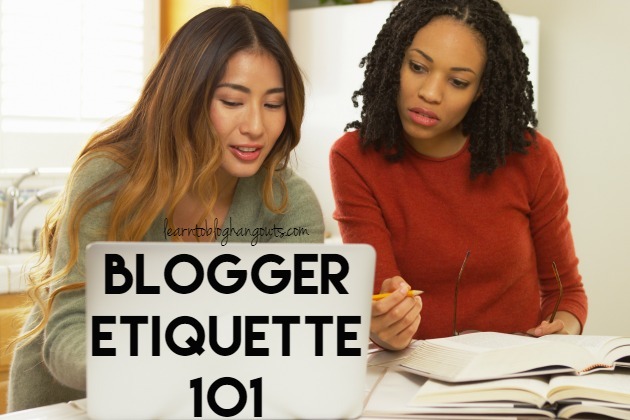 If you are a blogger that is blogging as a hobby or as a professional, good blogger etiquette should always be observed. At any given time there are over 3.2 billion people in the world on the internet including well-intentioned bloggers like ourselves searching for inspiration, adding their opinions, and sharing images of what makes their readers tick. When and how should I give credit in a post? Am I using images properly? When should I use an FTC Disclaimer? How do I properly give credit in a post? How should I deal with negative feedback and comments? In this #LearntoBlog Hangout Kelli and Crystal will help us navigate proper blogger etiquette that is both honest and professional. Blogging is a wonderful tool helping to build relationships with readers, a great outlet for our creativity and a source of income for many. 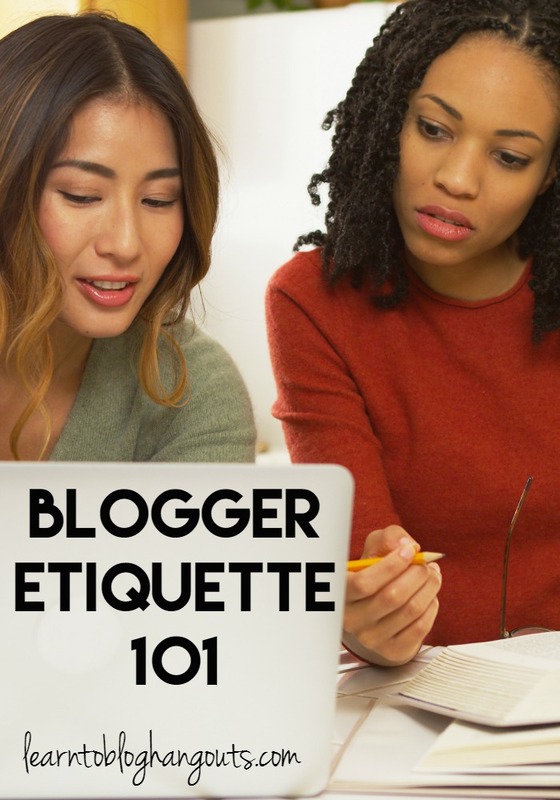 Blogger Etiquette makes the difference in how our readers, our brand, the world sees us. Remember to join the #LearntoBlog Series every other Tuesday over on Google+ at 10:00 am CST where Kelli and Crystal help us become better bloggers and answer all of our blogging questions. 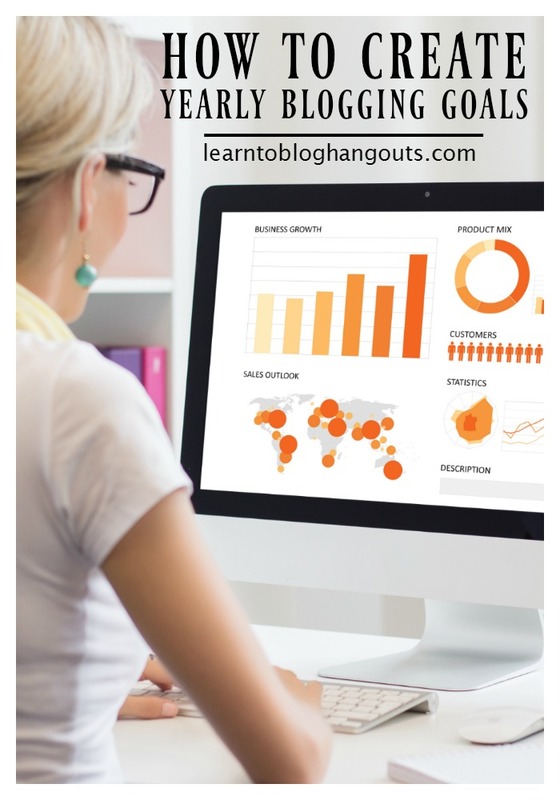 If you have questions or a more personalized consulting experience please email learntobloghangout(at)gmail(dot)com .